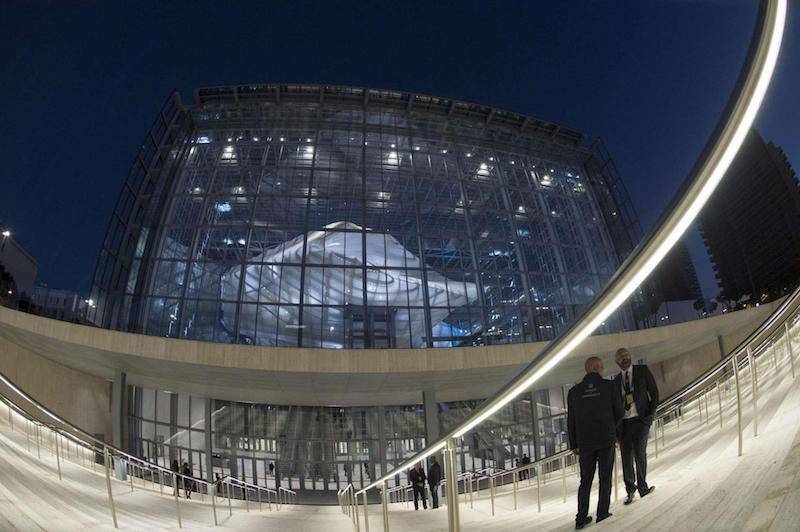 Last Saturday, October 29th, the much-anticipated new congress centre La Nuvola in Rome opened its doors to an international and national audience. It turned out to be a real Italian spectacle, with opponents and defenders openly shouting out their feelings about the huge costs of the building during the ceremony, for us, foreign invitees, it was an extra real taste of the Italian flavor, but intense it was. After long years of construction (1998-2016), the Italian architect has achieved a truly exceptional and splendid result (in the very own words of the Mayor of Rome Virginia Raggi). Italy’s Prime Minister, Matteo Renzi, even dared to express his hope that now Rome will find its new position within the international meetings industry next to London and Paris. The new congress centre, situated in the historical Eur area of Rome, is a work of extraordinary artistic value, characterized by innovative logistical solutions and technologically advanced materials. The complex is highly flexible, able to host congresses and exhibition events, with a capacity that can reach a total of nearly 9,000 seats, divided between the auditorium inside the Cloud, that can accommodate 1,760 people, and large conference rooms totaling 6,500 seats. The design of the New Congress Centre is distinguished by its eco-friendly approach, composed of intentional choices to reduce energy consumption. There is a climate control system with variable flow air conditioning, that will allow the optimal use of energy, with respect to the effective crowding of the rooms. On the external covering of the Theca there are photovoltaic elements that allow the natural production of electricity and protection of the building from overheating through the mitigation of solar radiation. This results in a significant savings in energy compared to that required by traditional air-conditioning systems. The centre will be expected to host international congresses from the 2nd half of 2017.